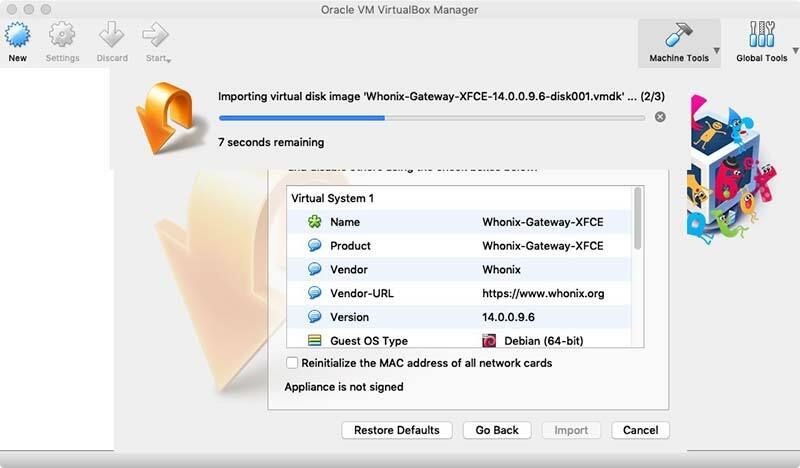 7.1 What is Whonix Gateway and Whonix Workstation? 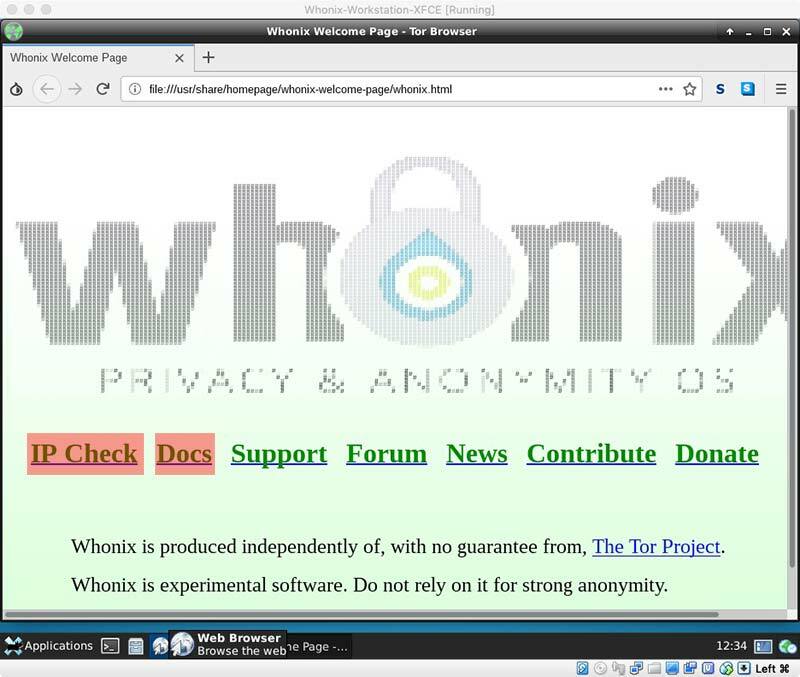 Whonix Gateway is what configures the whole machine and route all traffic through the Tor network. 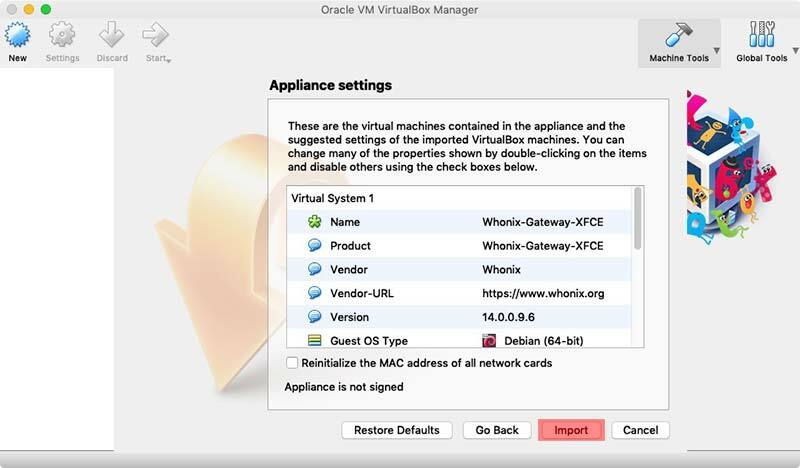 You will need to run it while running the Whonix Workstation but you will have little to no interaction with it. 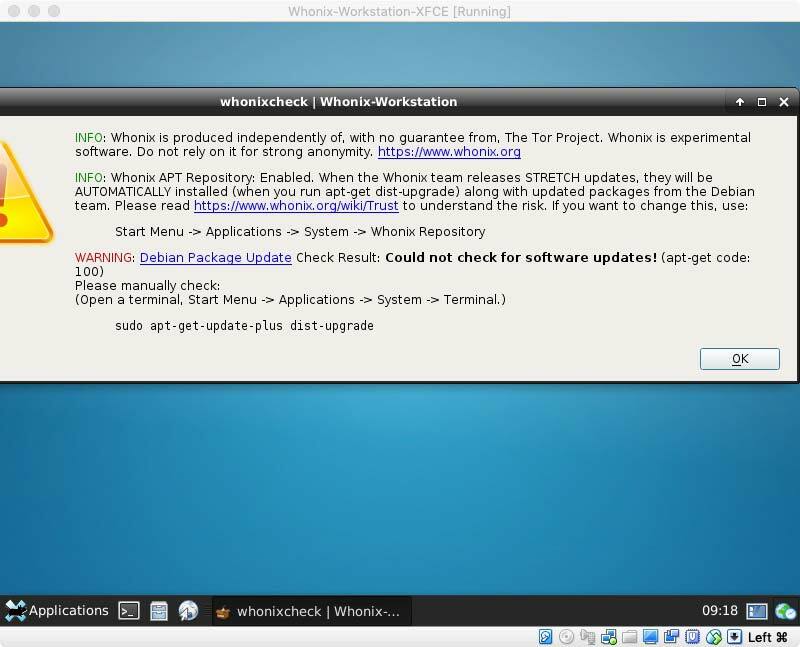 Whonix Workstation is where you operate as a user. Basically the OS. 8. 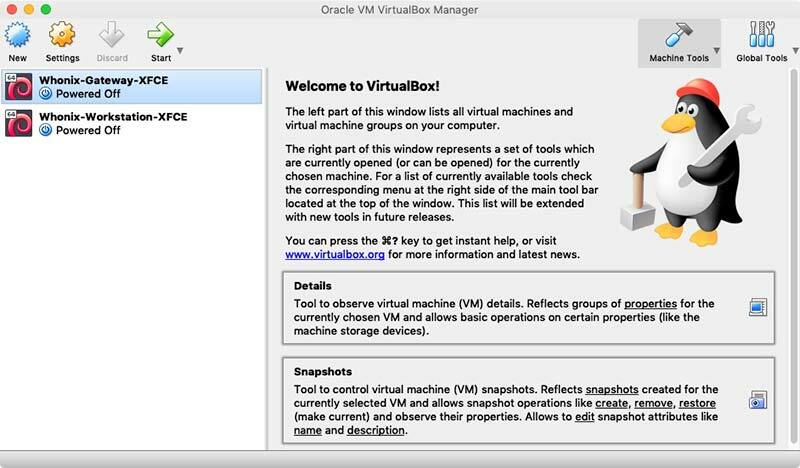 In VirtualBox open both Whonix Gateway and Whonix Workstation. This is done by either selecting them and clicking on start button ( one with the green arrow ) or double-clicking on them. 9. 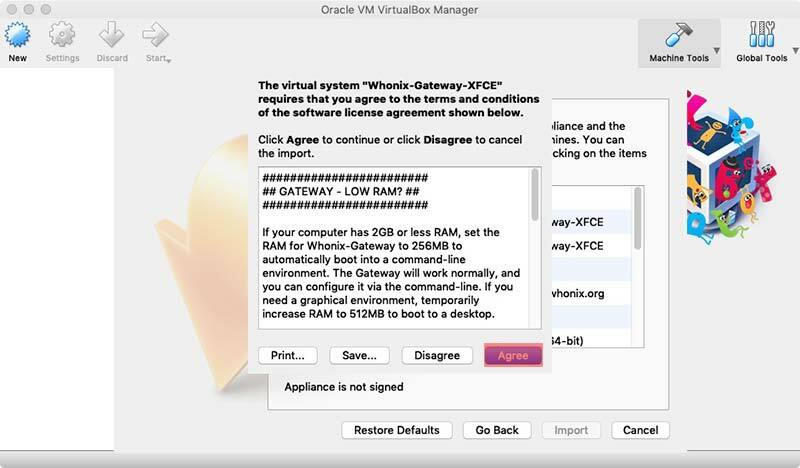 Once Whonix Gateway is loaded, it will ask you to connect to the Tor Network. This is easily done through the wizard. 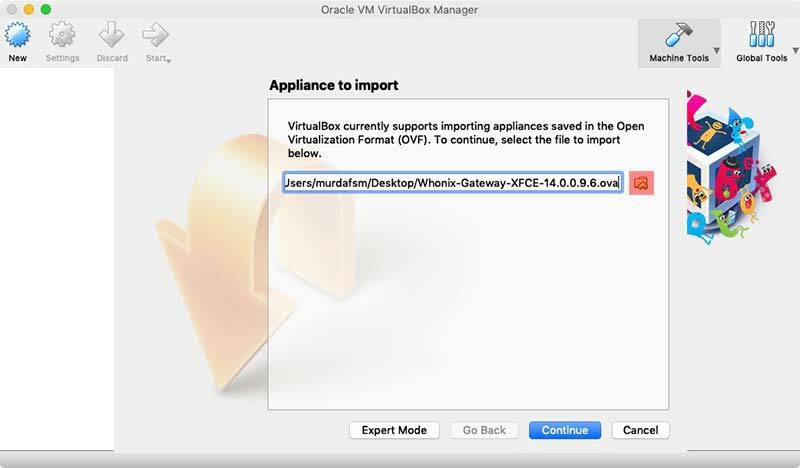 Click Next on both screens and wait for Gateway to connect. 10. Once Gateway connects to Tor, it will start looking for update and will display this message. Click OK.
11. Open the terminal ( first icon next to Applications on the bottom left corner ) and type sudo apt-get update && sudo apt-get upgrade . When prompted, type in the password. The default password is changeme. 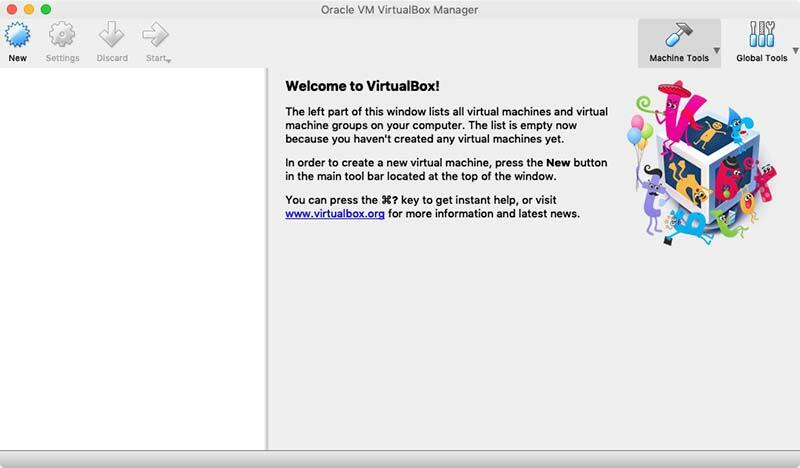 You will want to change the password but for now use the default one. 12. Now on the Workstation window, it might’ve started checking for updates too. If not, go to Application ( bottom left corner ) > System > WhonixCheck. When done it will display this message. 1. Make sure you run a system check on both Gateway and Workstation regularly. Keep both of them updated. 2. Never maximize the browser to full screen. 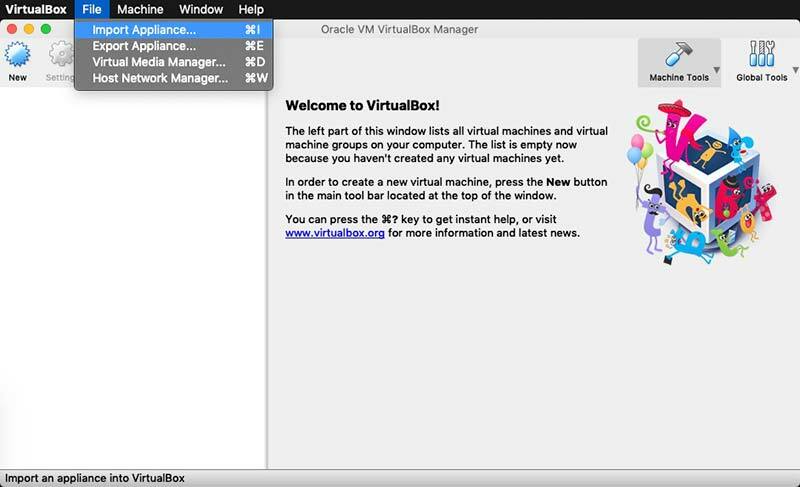 If you need to make it bigger manually adjust the window size. 3. Open Tor ( browser ) and, on the main page, first do an IP Check to see if be browser is configured to use Tor and most importantly click on Docs and do some heavy reading.